The duo previously worked together on “The Help” which earned Spencer her first Oscar. 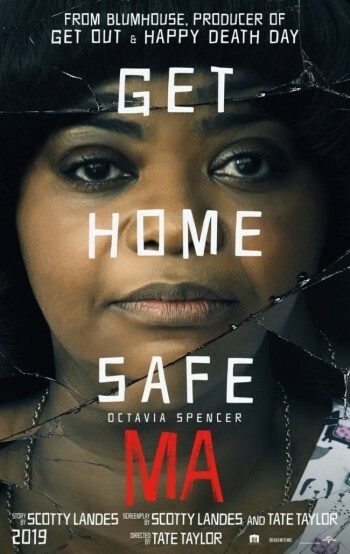 In “Ma,”Oscar winner Octavia Spencer stars as Sue Ann, a loner who becomes obsessed by a new teenager in town when she sees the chance to make some unsuspecting, if younger, friends of her own. Set in Ohio, “Ma” also stars Juliette Lewis (“August: Osage County”) as Maggie’s mom, Luke Evans (“Beauty and the Beast”) as a local dad, Missi Pyle (“Gone Girl”) as his girlfriend. Directed by Tate Taylor, (“The Help” and “Get On Up”), and produced by Jason Blum (“Get Out”) it’s a thriller anchored by a daring and unexpected performance from Spencer, one of the most powerful actors of her generation. Taylor and Spencer previously worked together on “The Help” which earned Spencer a BAFTA for Best Supporting Actress and the Academy Award for Best Supporting Actress for the same performance; it was her first Oscar nomination and first win.